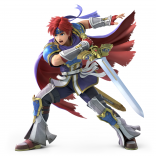 Super Smash Bros is arguably one of the most prestigious events in gaming: if you’re a video game character and you get an invite to the Smash tournament, it’s surely a big deal. 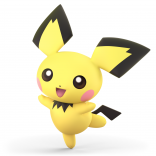 But who makes the cut this time? Well, the answer is… a long list. 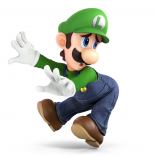 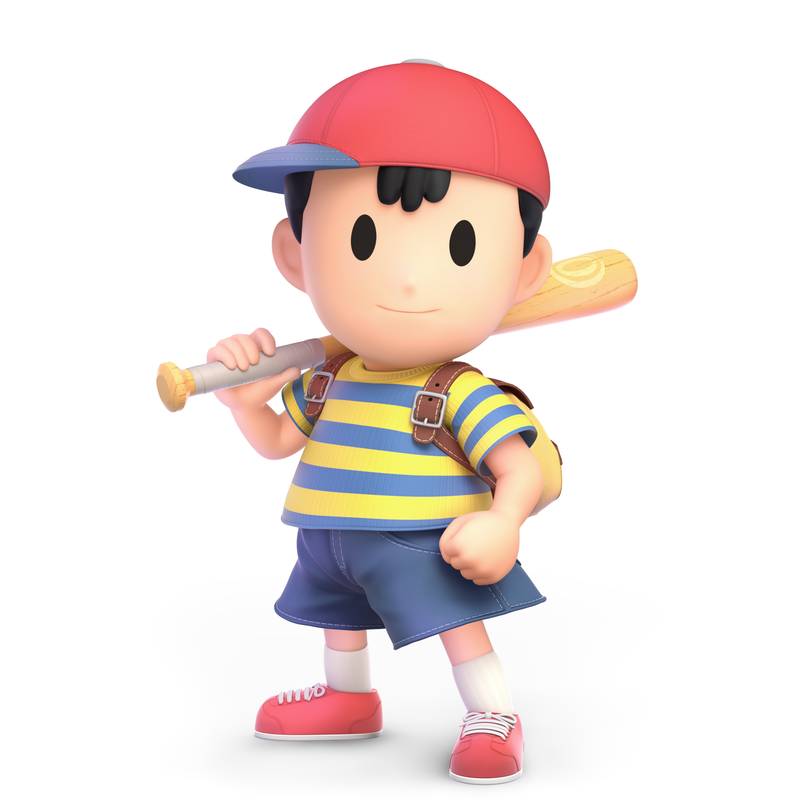 The truth is, every single character that’s ever appeared in the series is making it onto the Super Smash Bros Ultimate character roster – every single Smash fighter ever gets their chance to shine on the Switch. 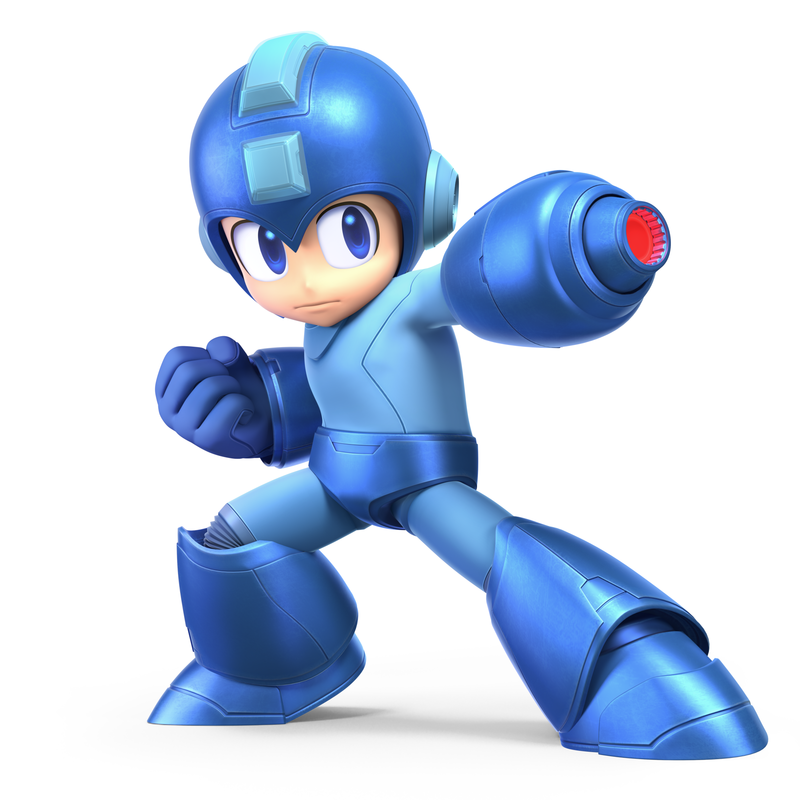 On top of that, however, there’s going to be some all-new fighters, too. 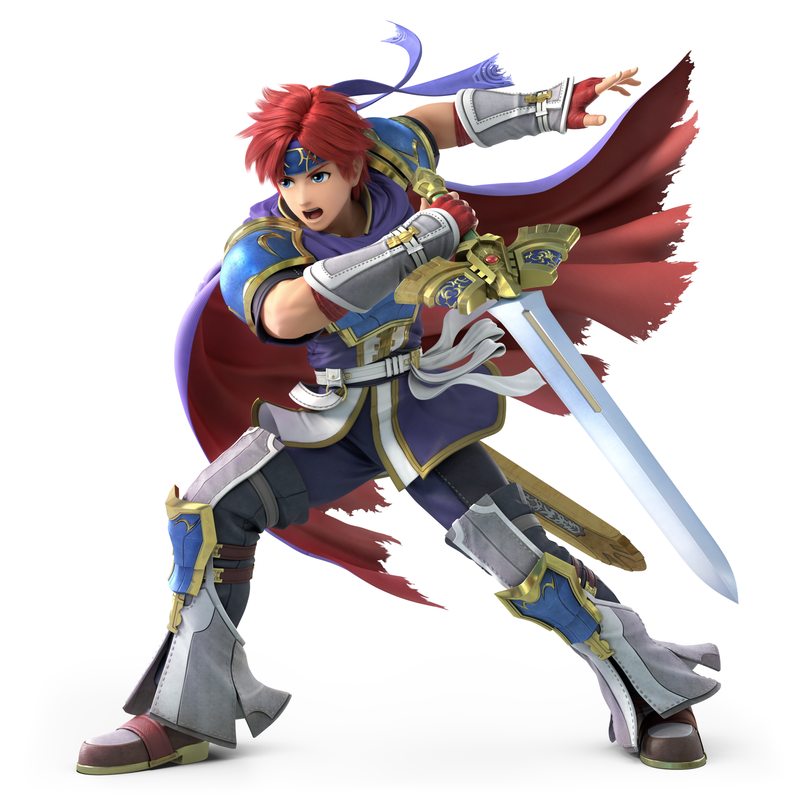 On this page, we’re going to list the Smash Ultimate Roster in full – first the complete list and then separately a list of newcomers so you can keep track of who is new to Smash. Before we do that, however, here’s the epic trailer Nintendo released as part of their E3 events, showcasing every single character in the game up until that point in action. 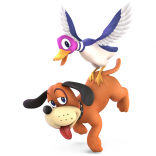 That’s approaching 70 characters for a start! 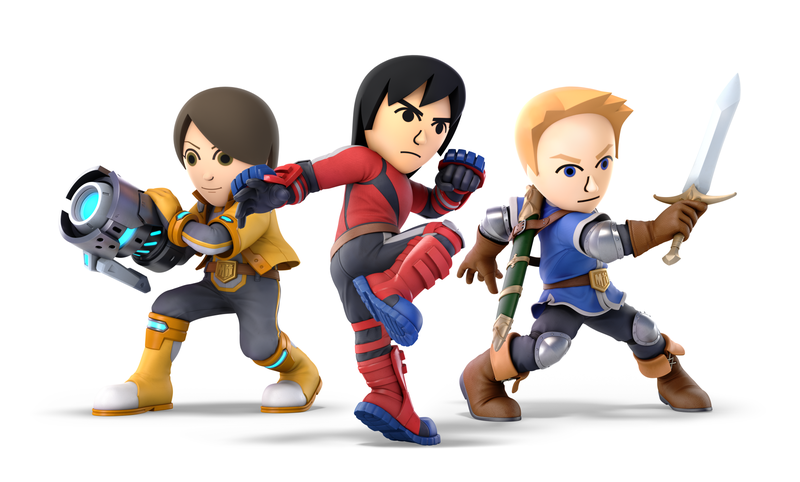 When you first boot Super Smash Bros Ultimate, you’ll actually only have access to twelve characters: the original eight characters from the N64 Super Smash Bros game, plus the four extra characters that featured in that game as unlockable fighters. 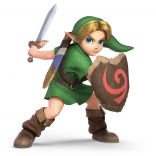 After that, you’ll gradually unlock more characters as you go, with Nintendo aiming to make it feel like you’re constantly unlocking a new all-star fighter all the time. 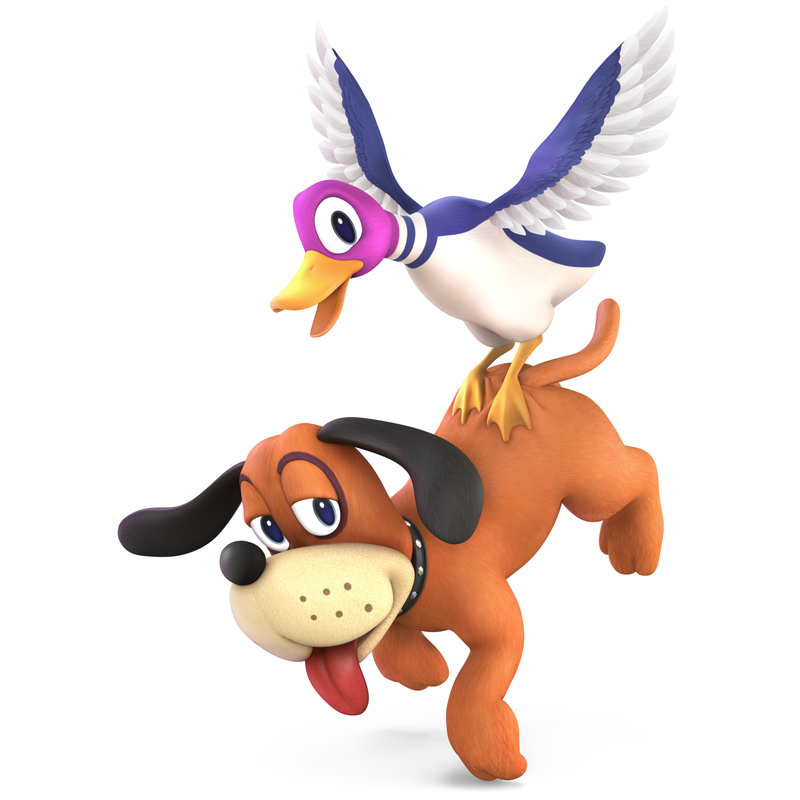 To go from twelve to over seventy is a lot – so there’s going to be a lot of character unlocking to do. 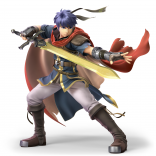 The fighter roster is made up of essentially two types of characters: fully fledged regular fighters and echo fighters. 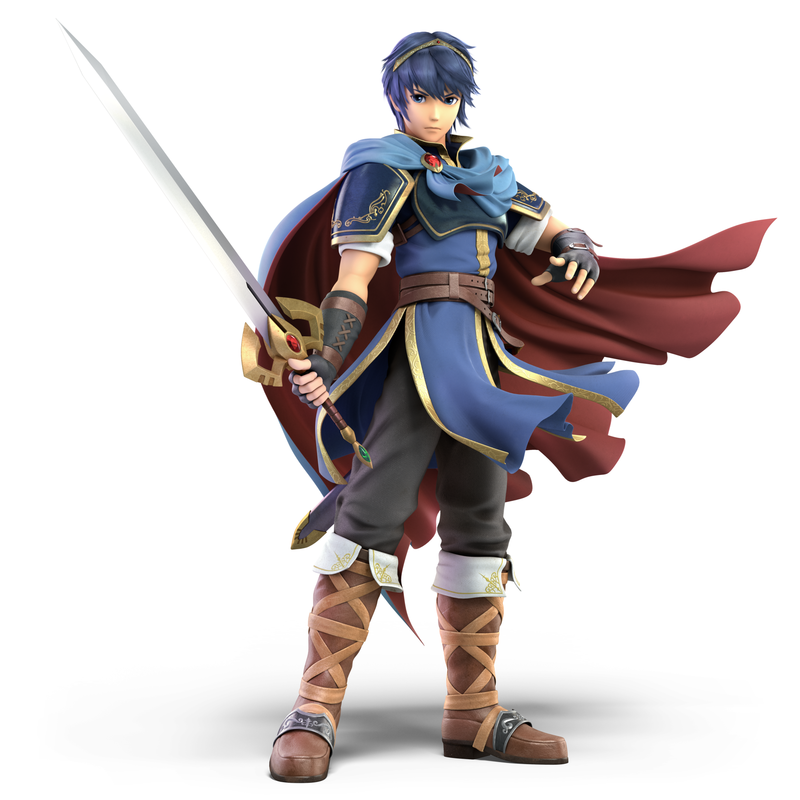 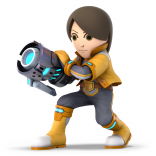 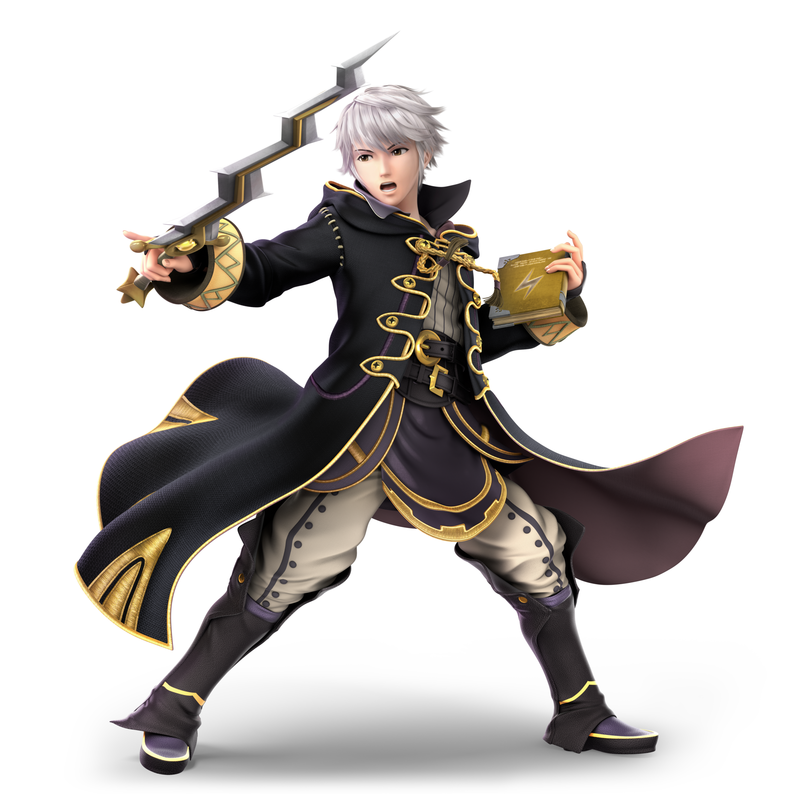 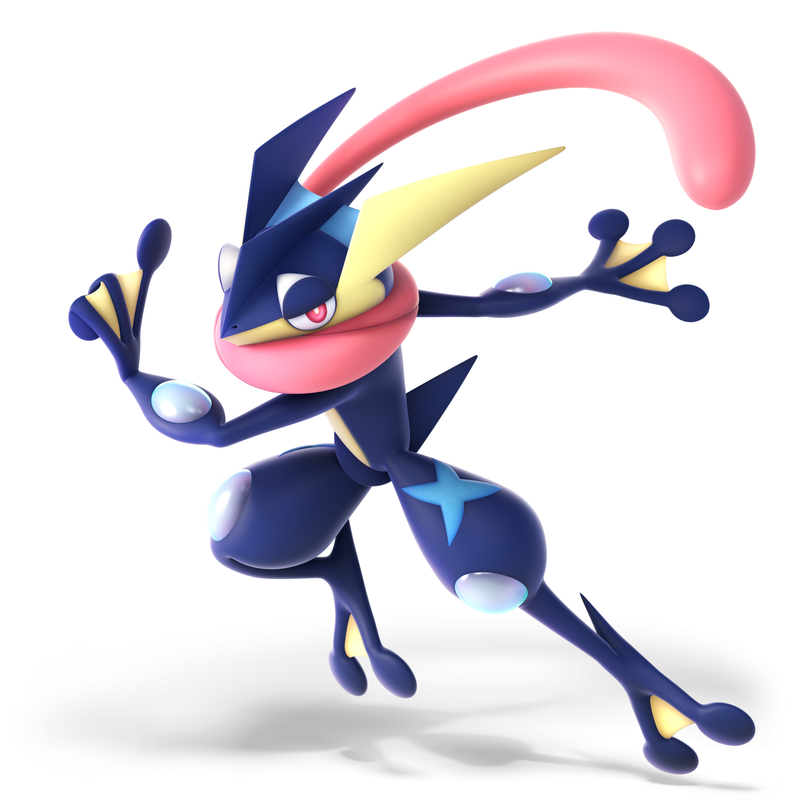 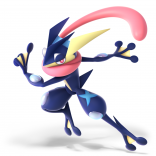 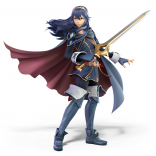 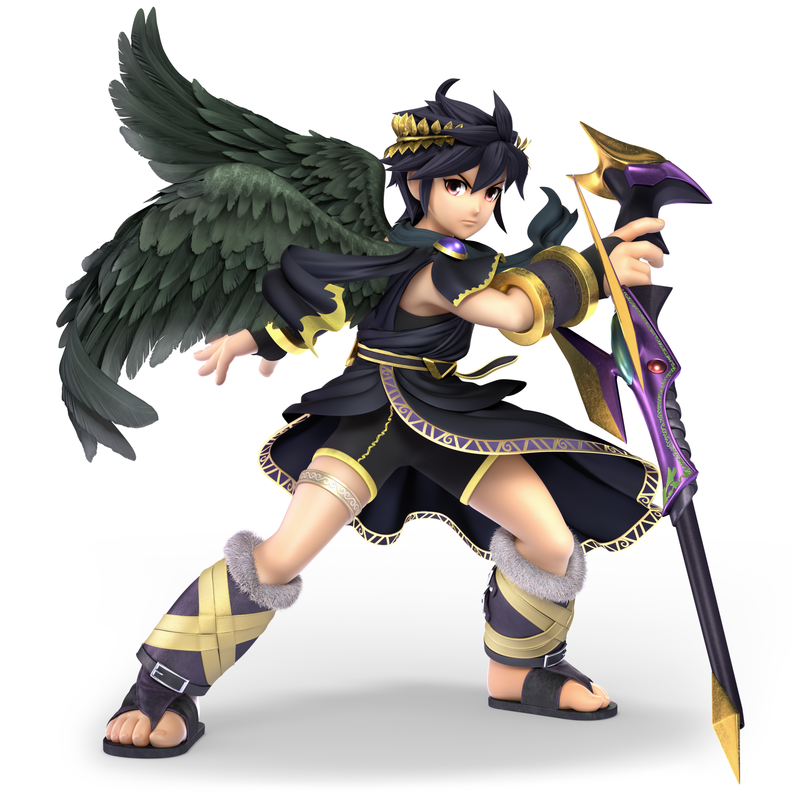 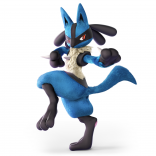 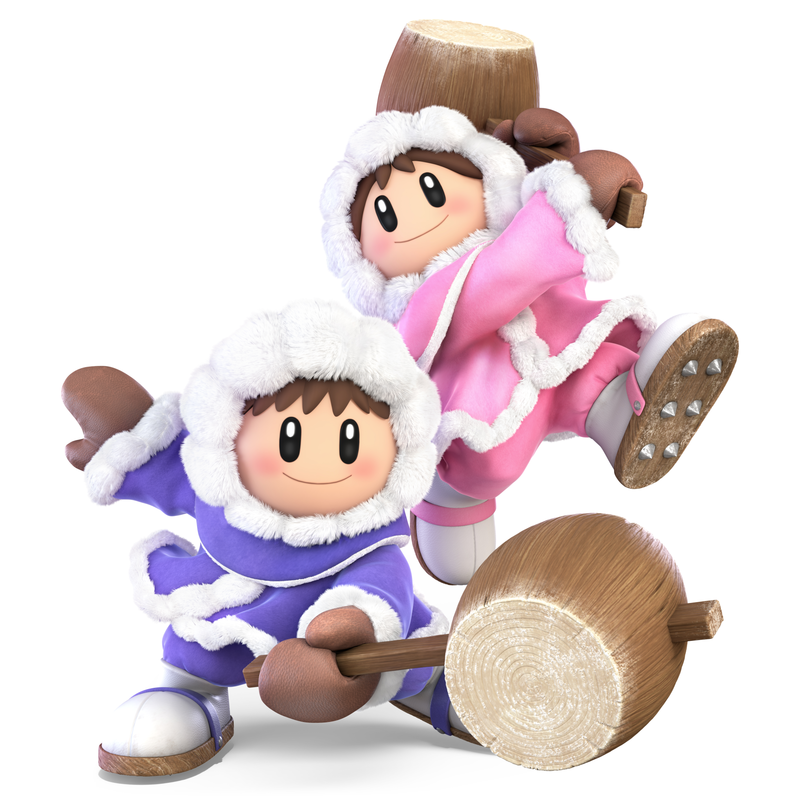 Echo fighters are essentially ‘clone’ style versions of existing fighters in the game. They’ll have recognizable special moves ‘borrowed’ from the rest of the cast but will also have some unique properties to their moves to help differentiate them. 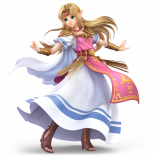 For instance, Princess Daisy is of course Princess Peach’s Echo Fighter, while Dark Samus provides a heavier-hitting take on Samus’ iconic move set. 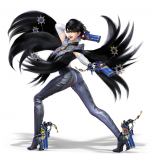 We’ve noted who the echo fighters are below. 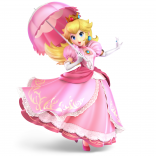 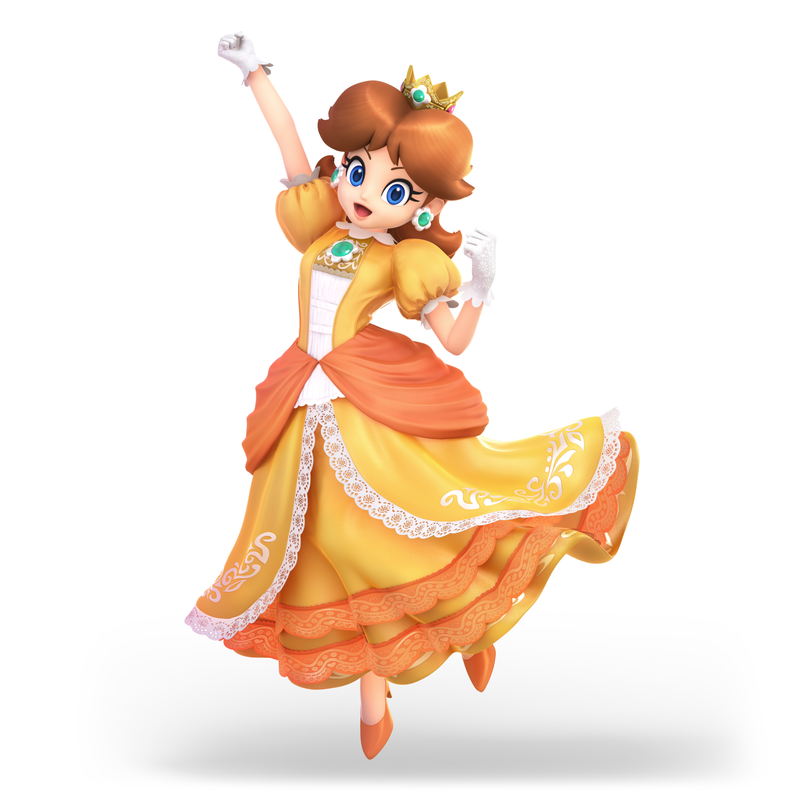 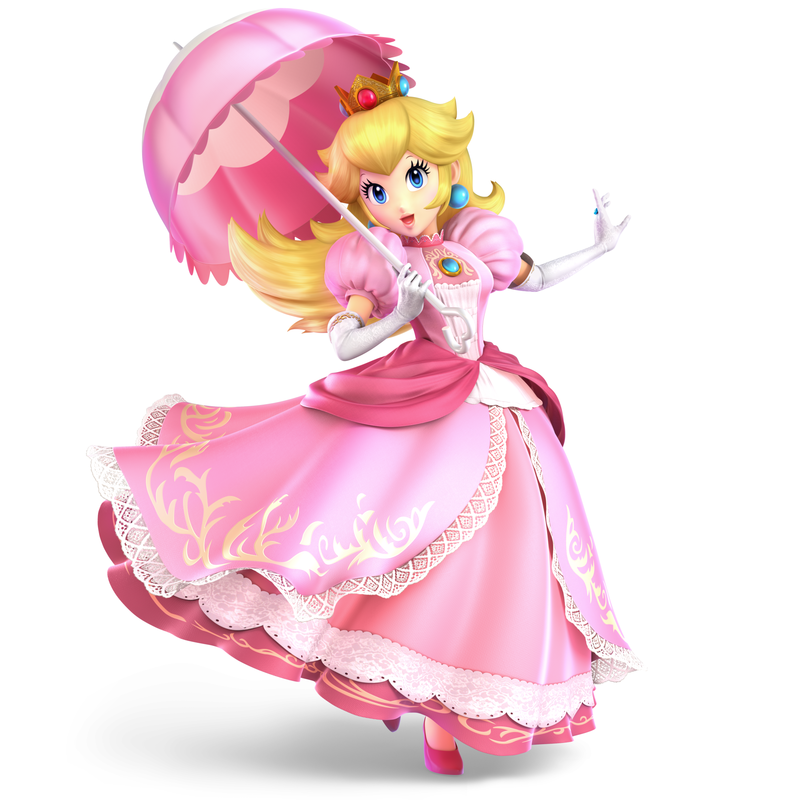 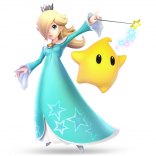 Daisy (Super Mario Land): After first appearing as the princess in the Game Boy spin-off Super Mario Land, Daisy is finally fighting in Smash as Peach’s Echo Fighter. 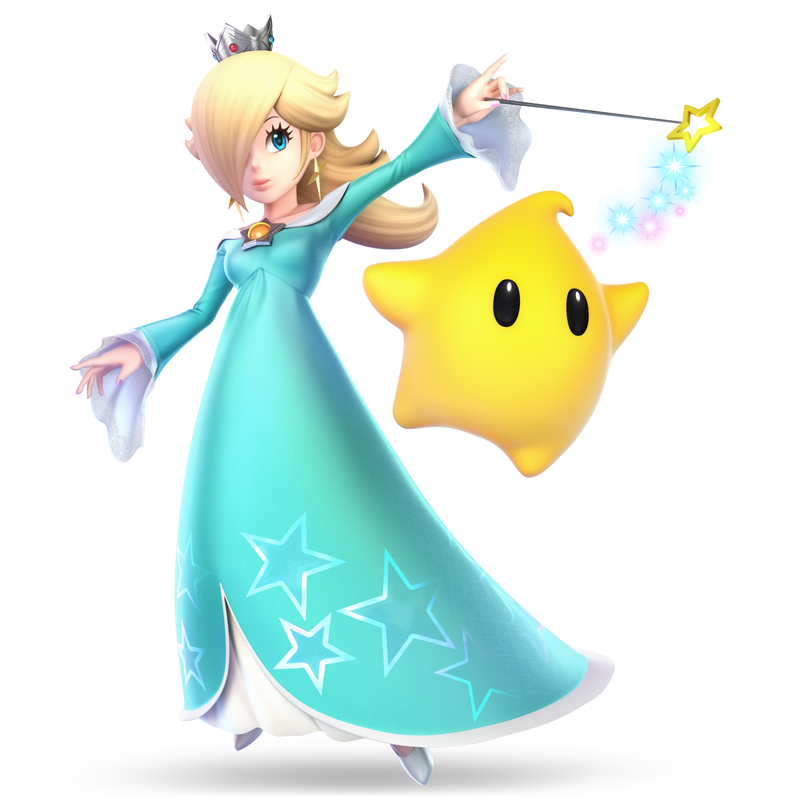 She’ll share similar moves to Peach with slightly adjusted move properties. Daisy has really only had that one major appearance as the Princess of Sarasaland, a far-flung land away from the Mushroom Kingdom, but Daisy has nevertheless become a staple in Mario spin-offs like Mario Party and the sports games – and now she’s ready to fight. Inkling (Splatoon): The star break-out characters of the Wii U console, the Inklings are quick to make their Smash Bros. debut! 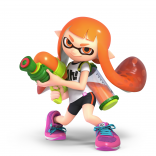 Both boy and girl Inkling variants are available, with four of each all wearing unique and of course wicked fresh clothing. 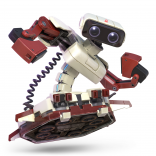 In Smash the Inkling carries over a key mechanic from Splatoon in that they can ink enemies to make them more vulnerable to attacks and are forced to manage their ammunition by reloading ink through turning into a squid. 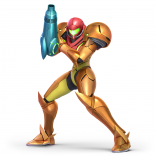 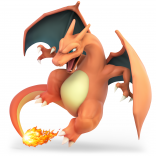 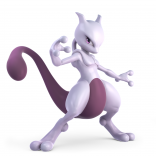 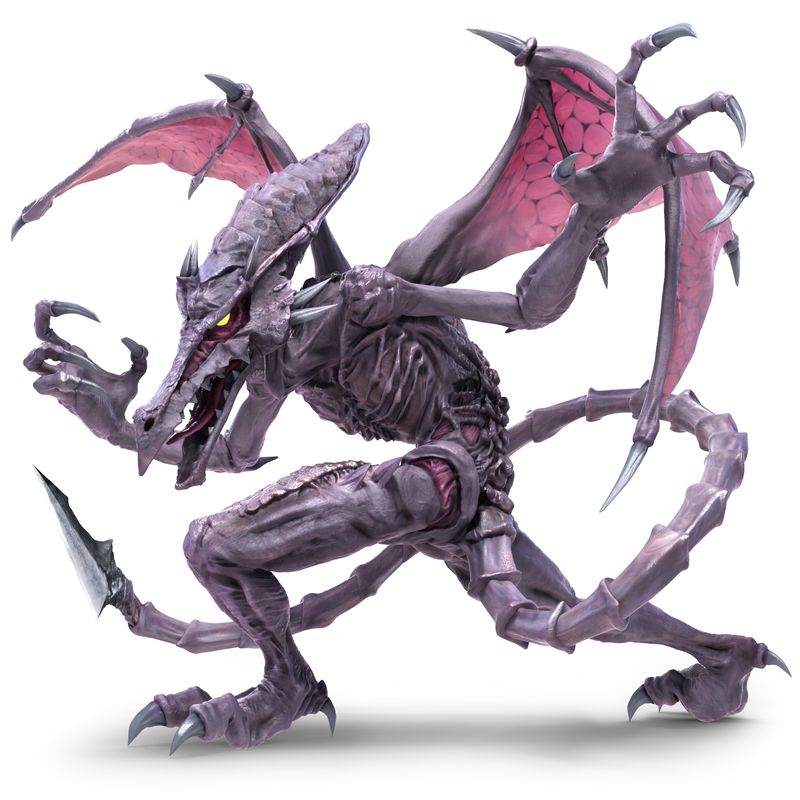 Ridley (Metroid): After much fan demand, Metroid villain Ridley makes his Smash debut! 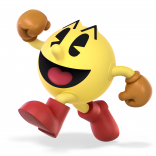 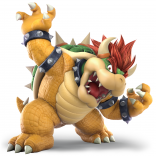 It was once said that he’d be too big to battle in Super Smash Bros, but that’s been proven false as he joins the Ultimate character roster: he’s still huge, by far the biggest fighter, but he does fit on the stage! 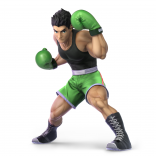 Ridley comes with all the heavy-hitting moves you’d expect from such a giant character, including some nasty grabs that can drag his foes right the way across the stage. 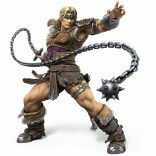 Simon Belmont (Castlevania): Simon Belmont was a staple of the classic Castlevania series back on the NES and SNES, and like Mega Man and Ryu that makes him a perfect fit for the world of Smash. Simon of course has access to his iconic whip, but also has other classic Castlevania staples like his axe and holy water. 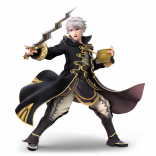 His Final Smash sees him imprison his foe in a coffin, because of course it does. 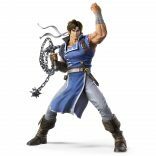 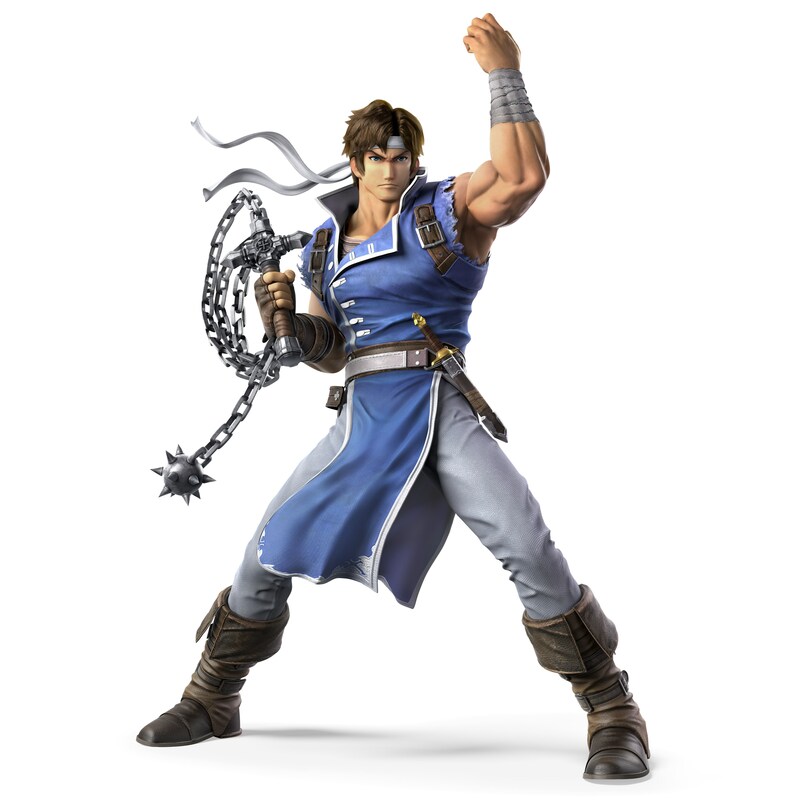 Richter (Castlevania): appearing as an echo fighter for Simon Belmont, Richter is another classic Castlevania series joining the battle in Smash Ultimate. 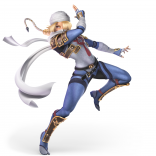 He’s actually a direct descendant of Simon, so it makes a lot of sense he’d share some similar moves – especially since both are in the vampire hunting business. He first appeared in Rondo of Blood, which wasn’t on a Nintendo console but later saw a release on the Wii Virtual Console. 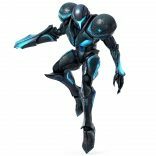 Dark Samus (Metroid Prime): Dark Samus isn’t actually a dark version of the titular hero of Metroid – in fact, it’s a being of Phazon that has simply decided to take the form of the universe’s greatest Metroid-killing bounty hunter. In Smash Dark Samus is of course an echo fighter of regular Samus and appears to use heavier hitting but slower, corrupted versions of the most iconic moves of Samus. King K. Rool (Donkey Kong Country): For the longest time Smash fans have complained that Donkey Kong didn’t have a villain in Smash. 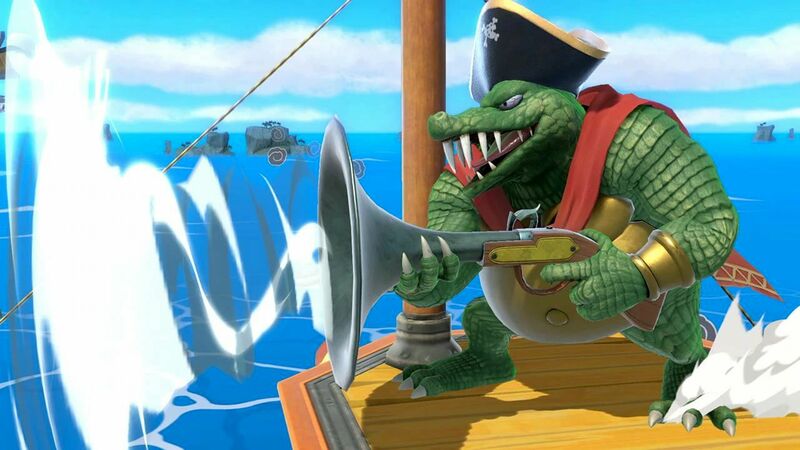 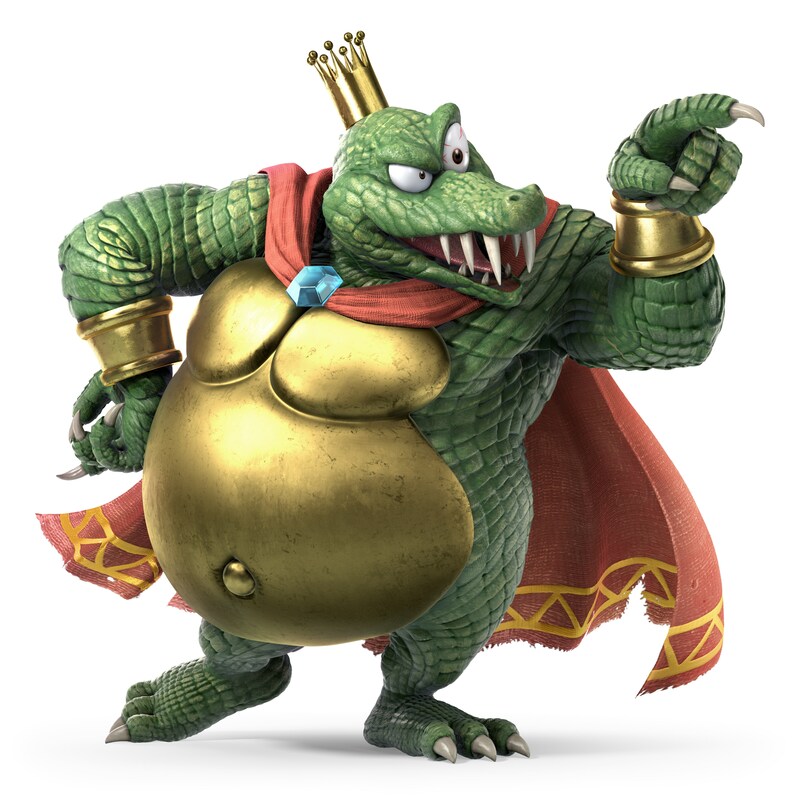 I mean, that isn’t strictly true – don’t forget that dear old Mario locked up Donkey Kong’s dad and battered him with a bullwhip in Donkey Kong Jr – but that doesn’t mean K. Rool isn’t special. 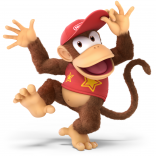 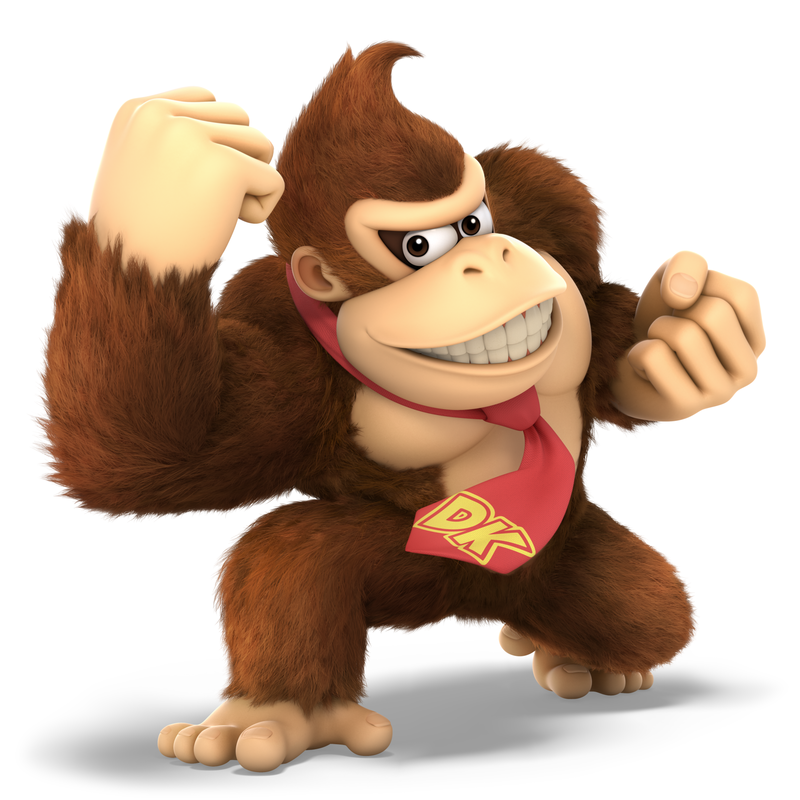 His slapstick, looney tunes style of fighting is a perfect fit for Smash and a great rep for Donkey Kong Country – and it’s great to see a British-designed character in the Smash Ultimate character roster! 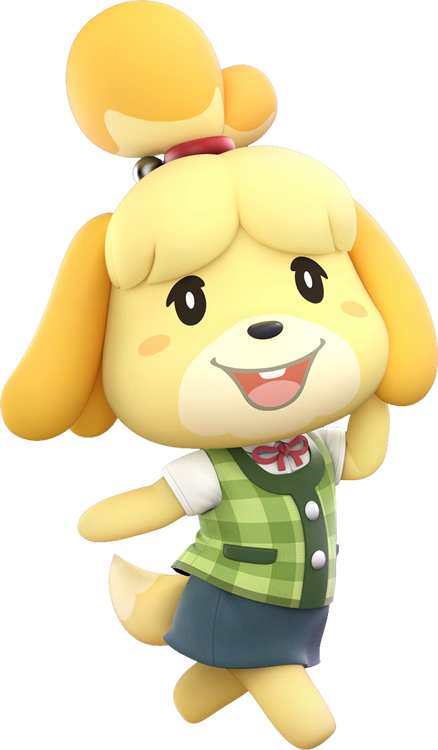 Isabelle (Animal Crossing): Isabelle has become one of Nintendo’s superstar icons lately. 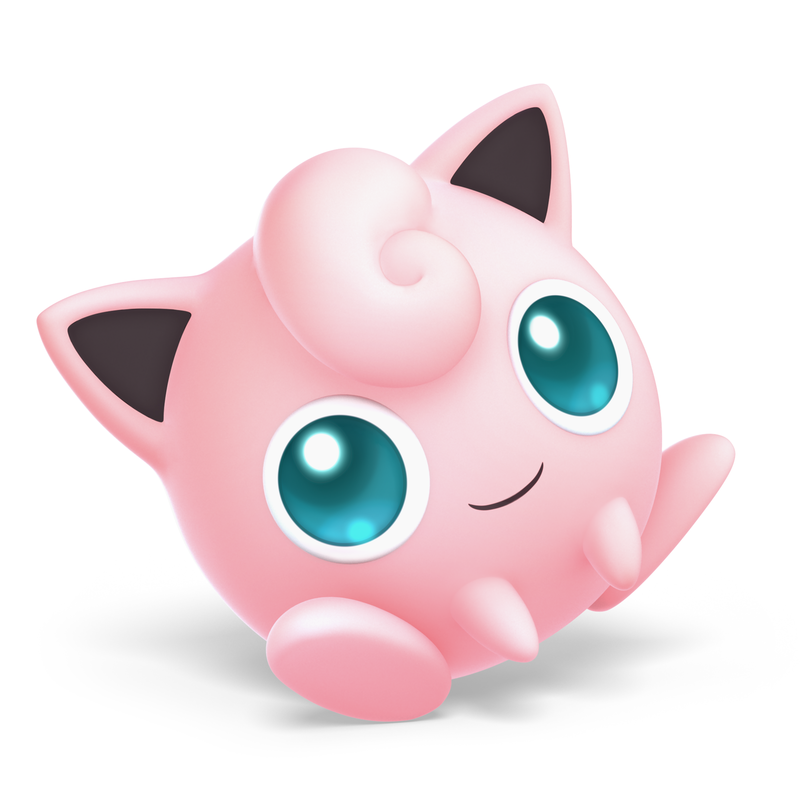 With Animal Crossing a huge success on the DS and 3DS and now with a successful (if slightly money-grabbing) mobile outing, this little cutesy poodle is actually one of Nintendo’s more recognizable mascots to more casual players. 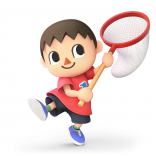 In Smash, she comes with a more set slightly similar to villager, with actions based on her job as the mayor’s assistant in Animal Crossing. Her moves are similar to the Villager in concept, but she’s not an echo fighter – she’s all new! Incineroar is the ultimate evolution of one of the fan favorite new starter Pokemon from Pokemon Sun & Moon, and it’s a very different sort of Pokemon for Smash – huge and imposing, Incineroar has moves that resemble a pro wrestler. 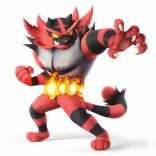 They’re all still based off classic Pokemon moves that Incineroar can learn in the games it hails from, but they’ll still be very familiar to wrestling fans. 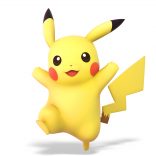 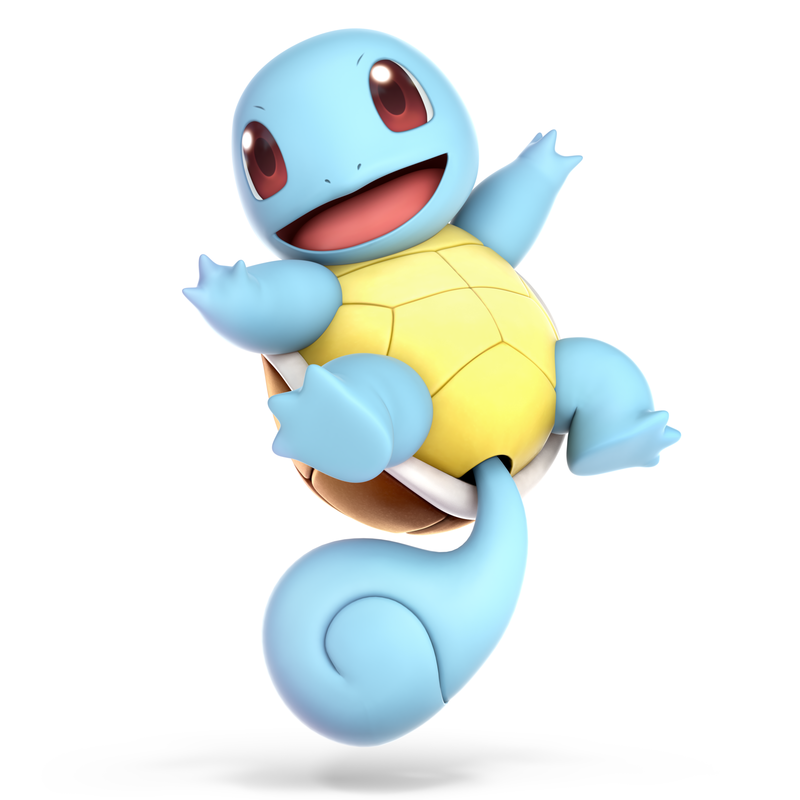 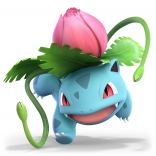 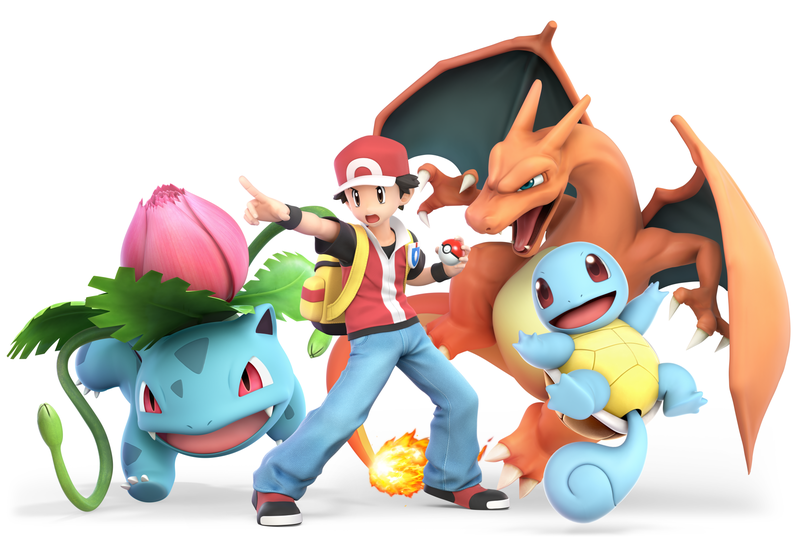 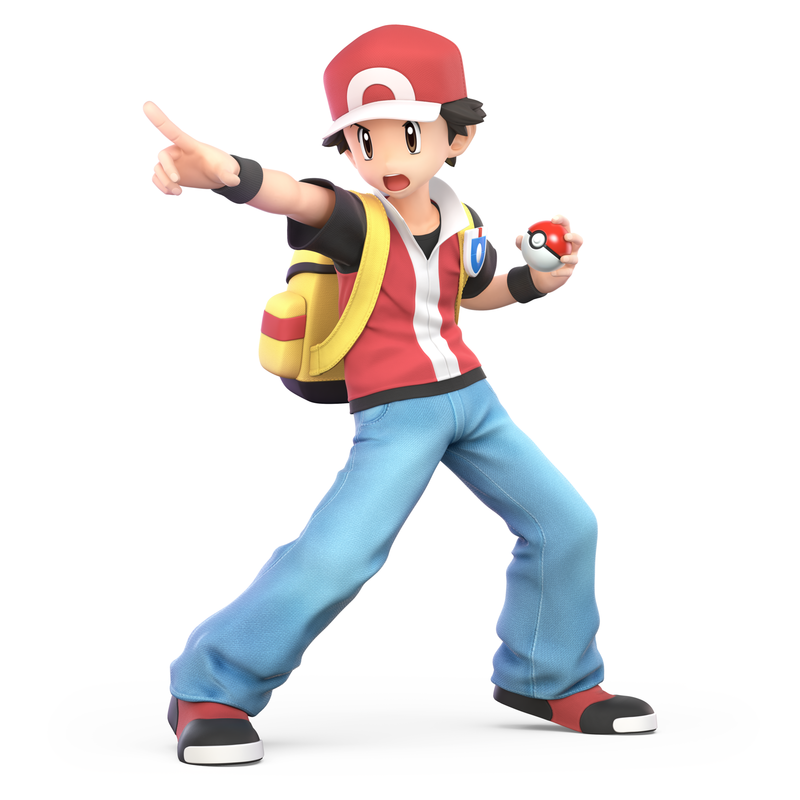 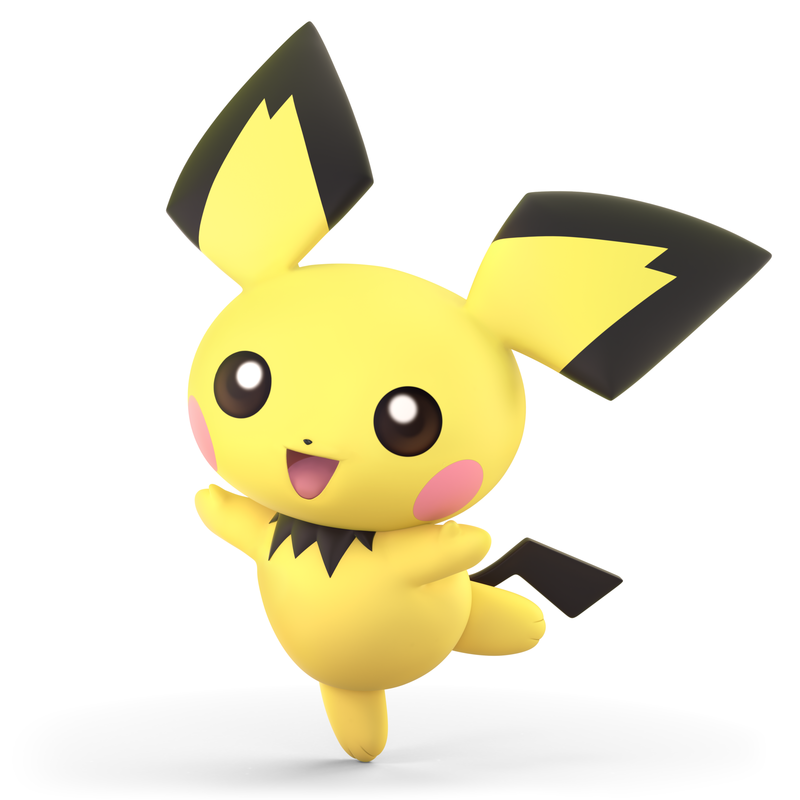 This is likely to be a heavy-hitter – and it keeps the trend of representing each Pokemon generation in Smash going. 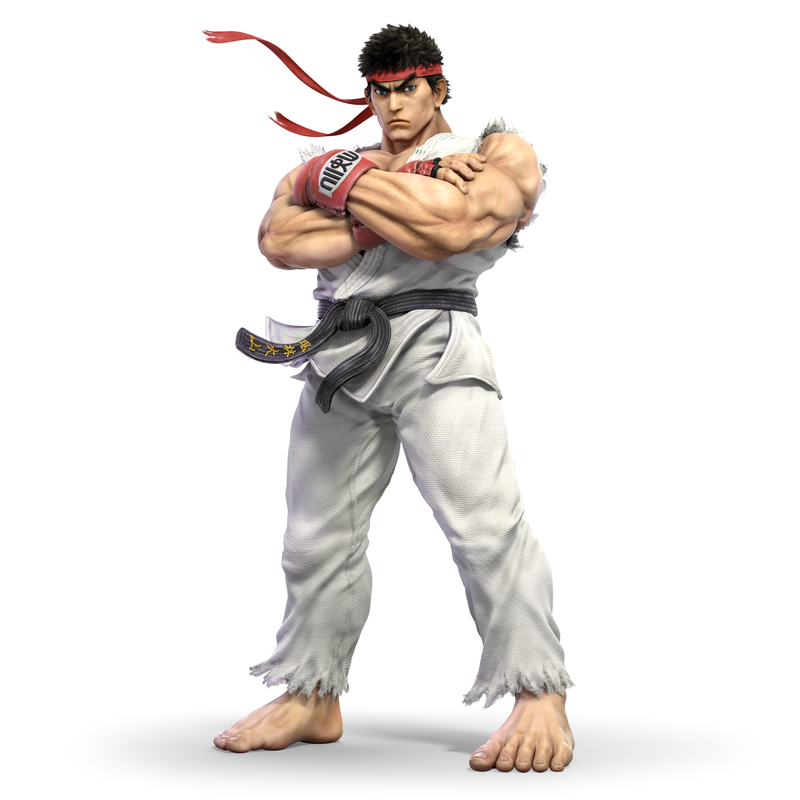 Ken is an echo fighter of Ryu, who of course joined Smash as one of the most exciting new DLC additions back on the Wii U and 3DS. 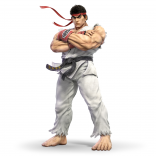 Ken is perhaps one of the ‘original’ echo fighters in gaming, given that all the way back in Street Fighter’s original outing he was simply a different color Ryu, but over the years he’s been differentiated from Ryu quite a lot. 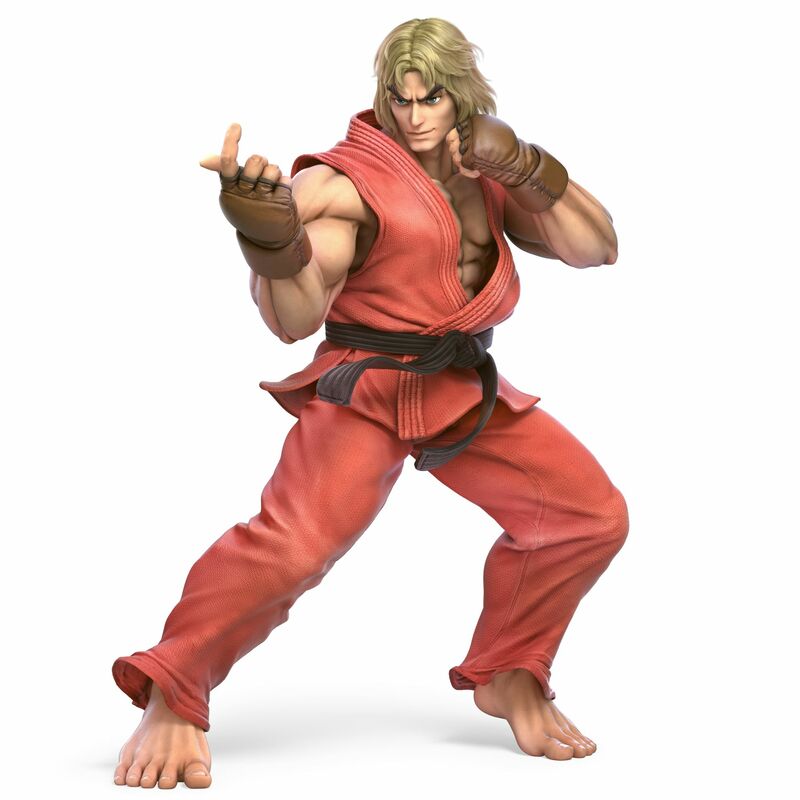 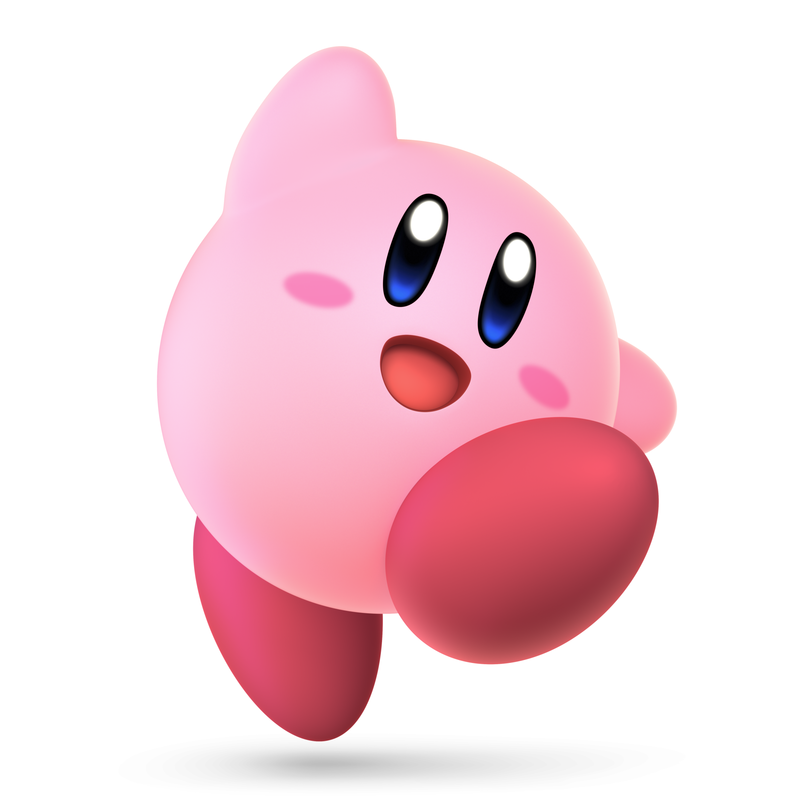 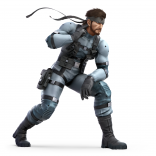 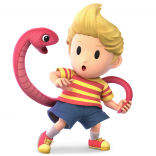 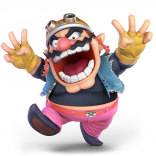 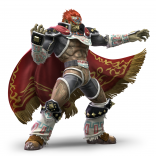 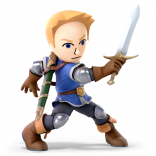 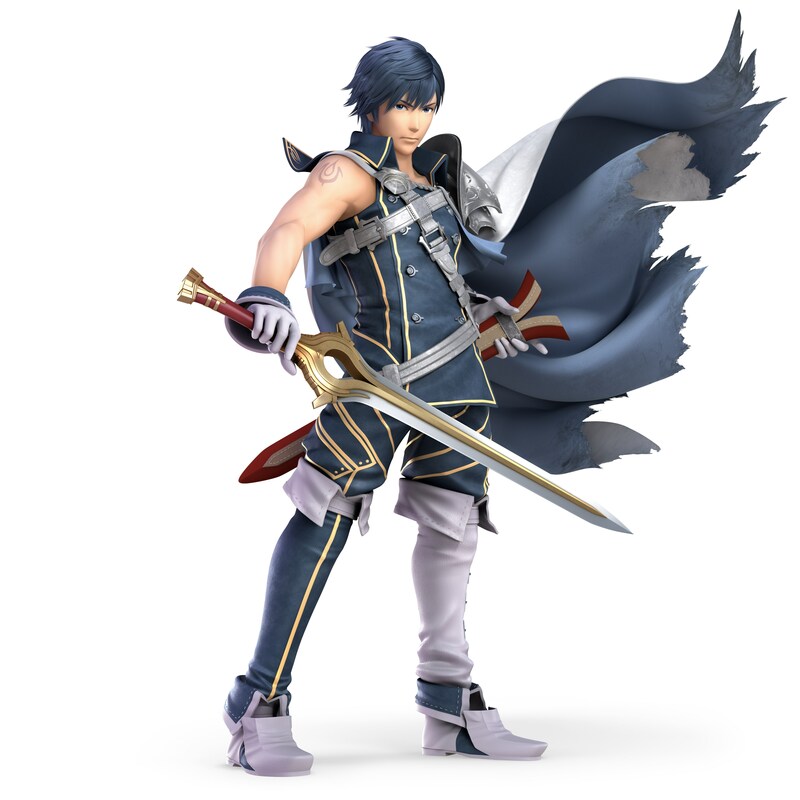 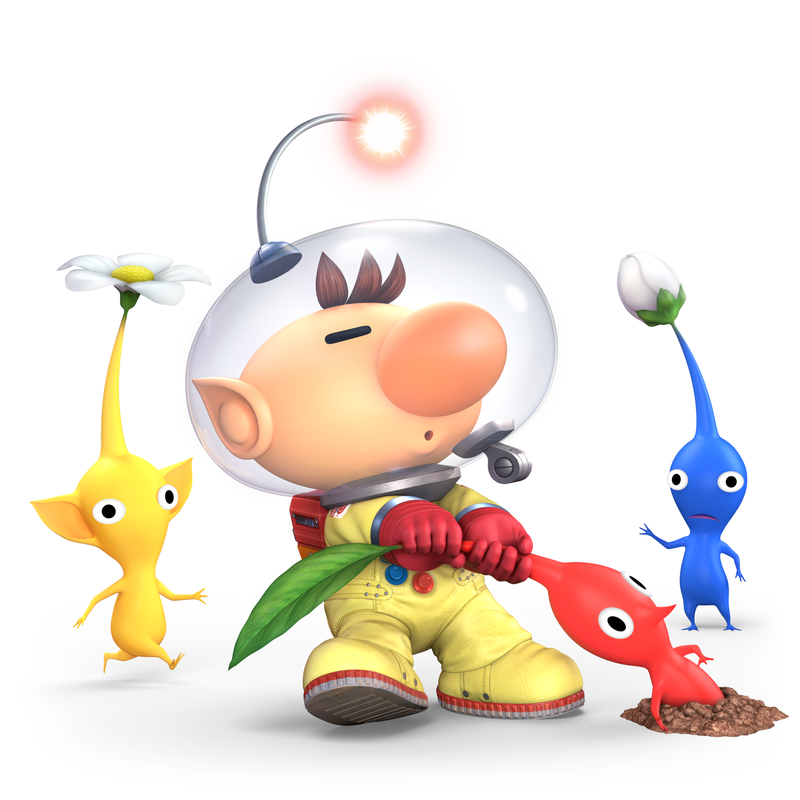 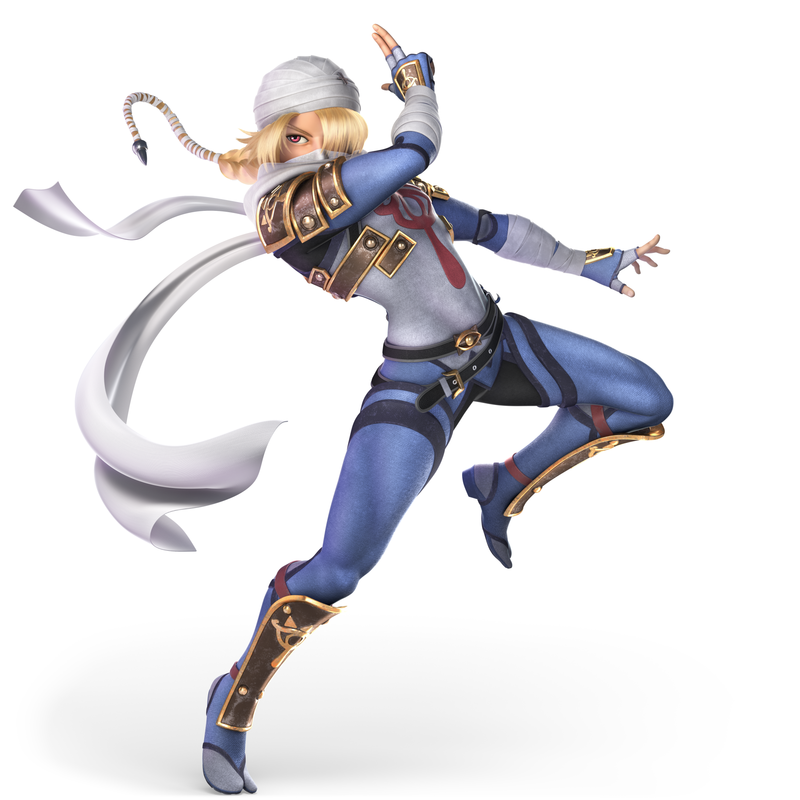 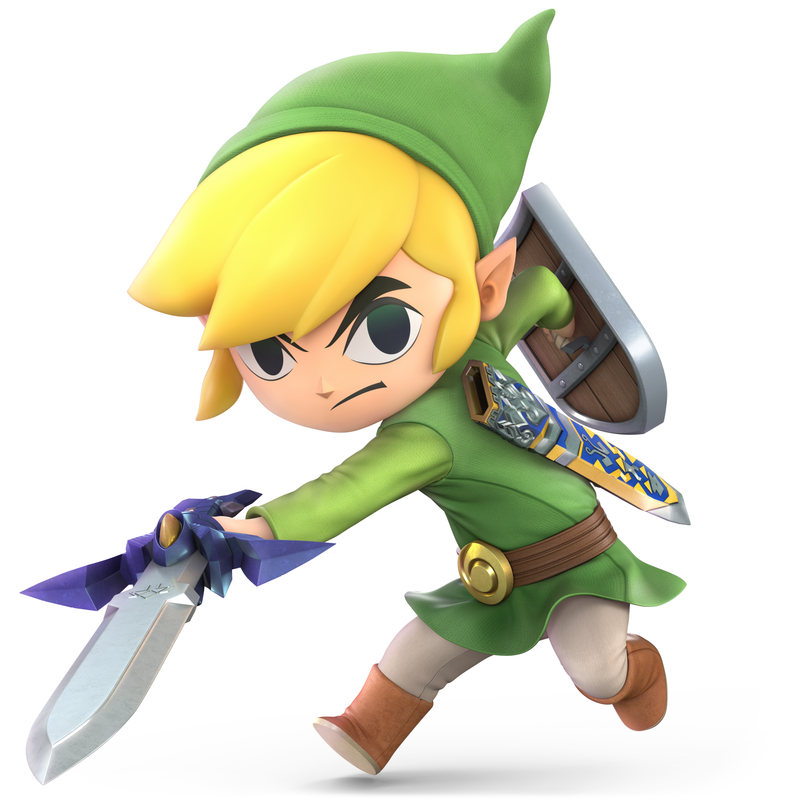 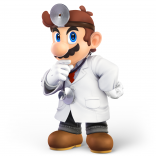 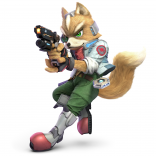 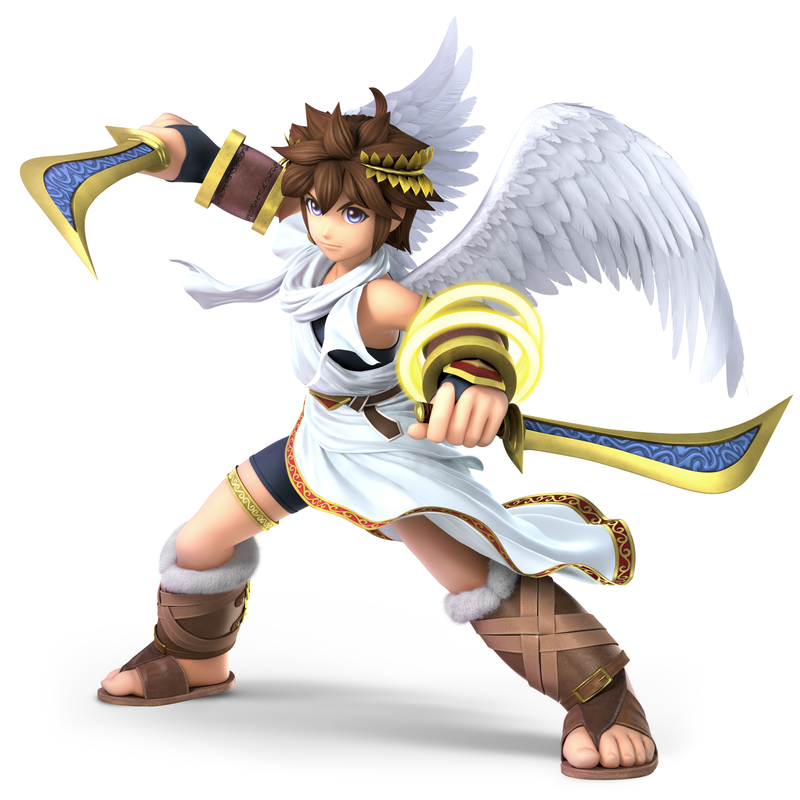 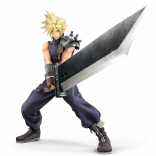 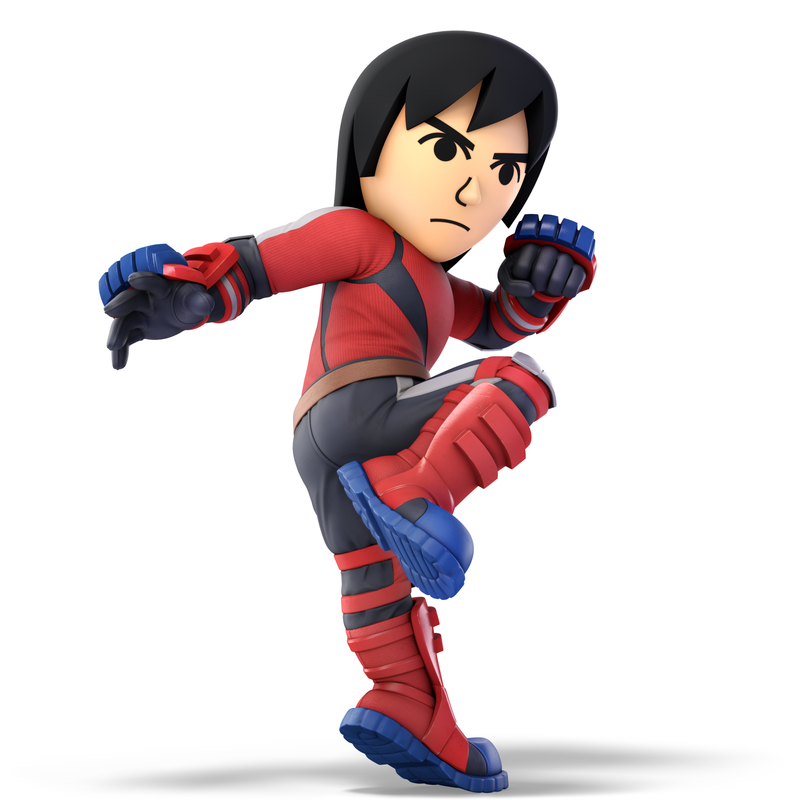 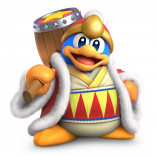 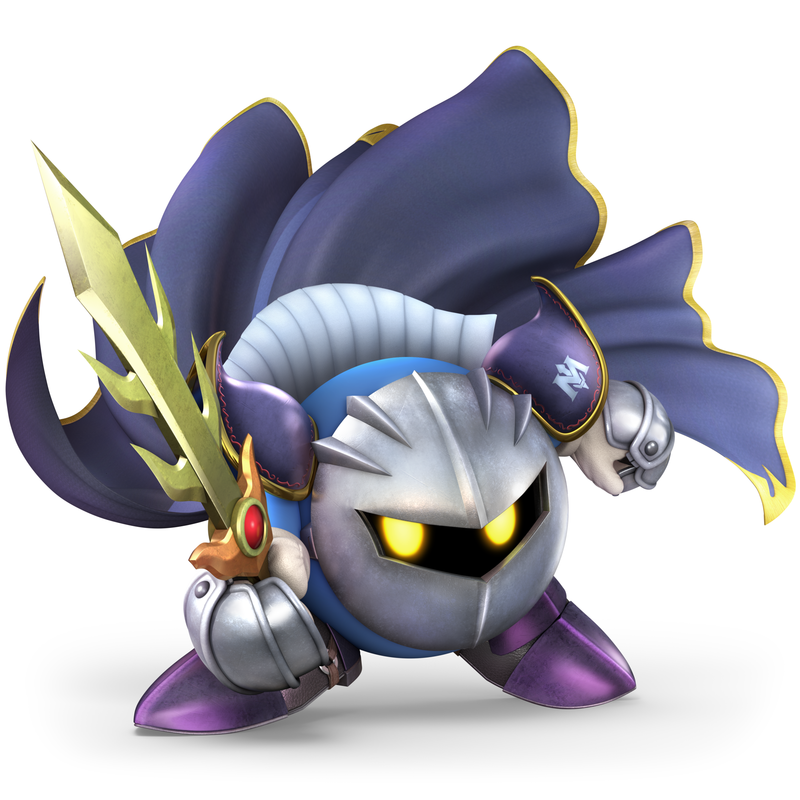 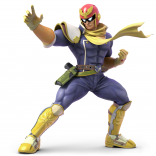 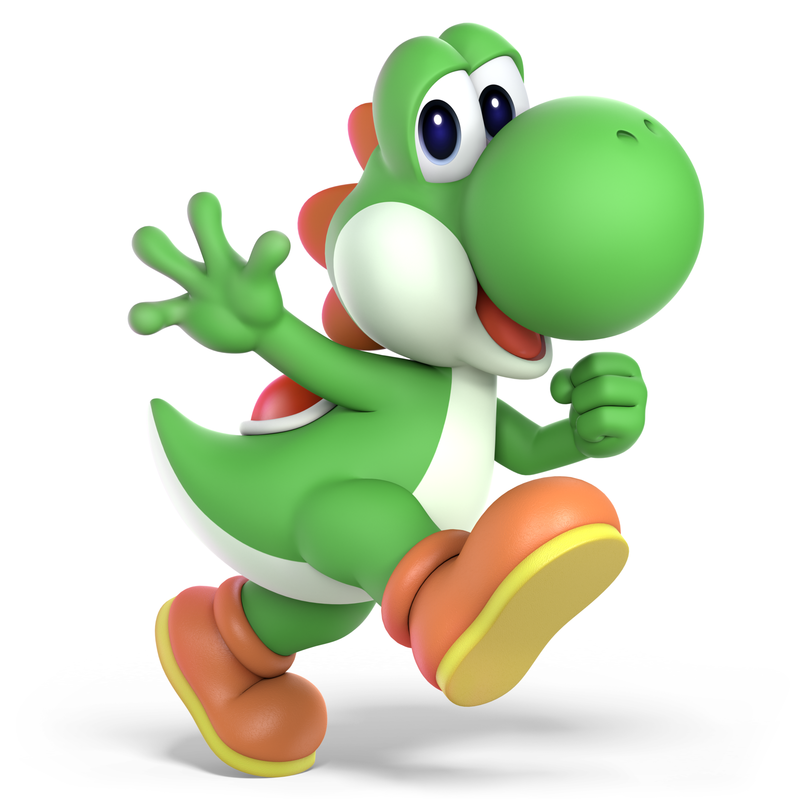 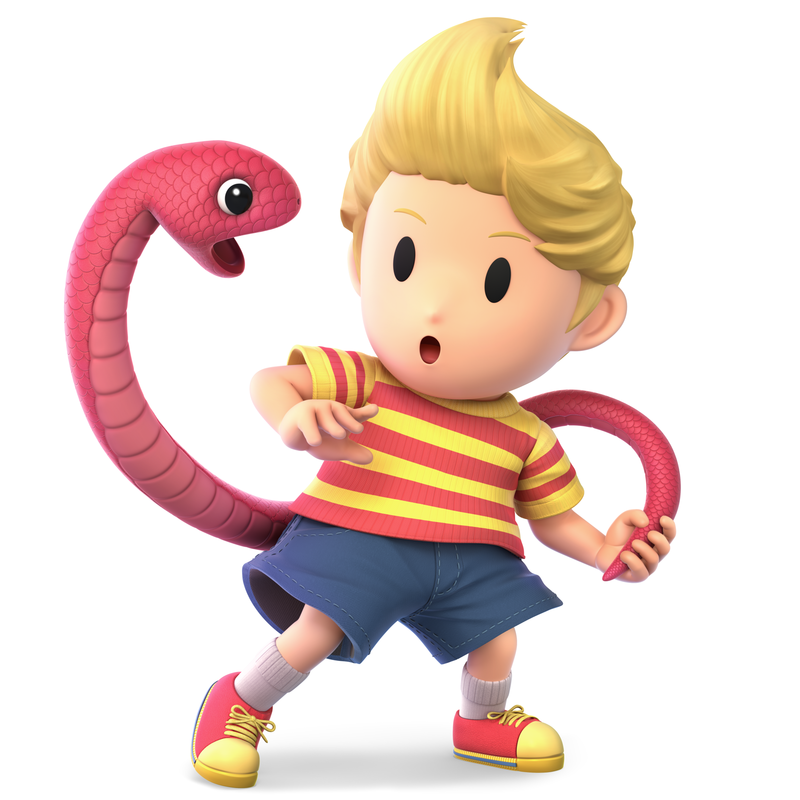 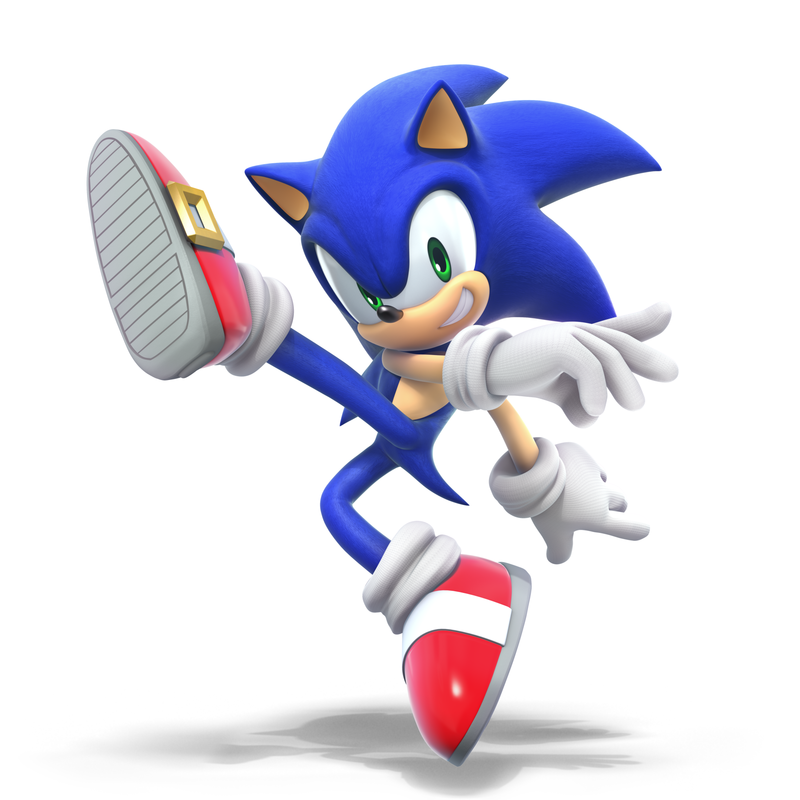 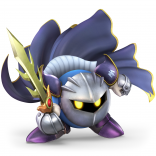 His Smash variant is loyal to this, giving Ken slightly different normals, a faster speed, altered properties on some of his specials and a unique final smash. As well as the above characters listed – the base character roster of Super Smash Bros. 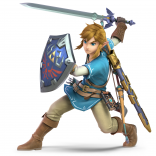 Ultimate on Nintendo Switch, there’s also going to be DLC characters – and so far, Nintendo has confirmed six. Smash Ultimate DLC characters will come in a package, with each character coming packaged with an all-new stage to Smash on plus a selection of music. 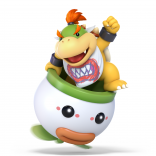 There’ll be five post-launch DLC characters, and they can also be picked up together in what Nintendo’s calling the Fighter Pass – essentially a season pass that’ll get you five characters, five stages and a bunch of music. 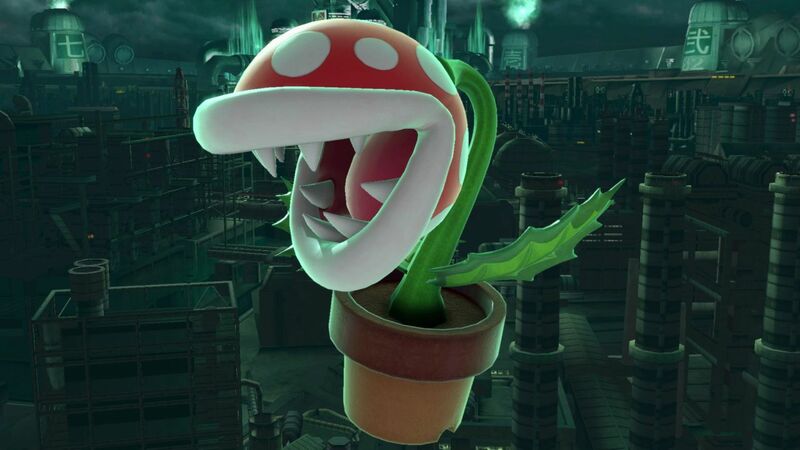 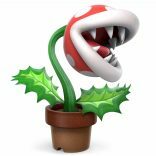 On top of this, there’s a pre-order bonus character, Piranha Plant from Mario, who’ll be available to anyone who purchases and registers Smash with My Nintendo before January 31 2018. 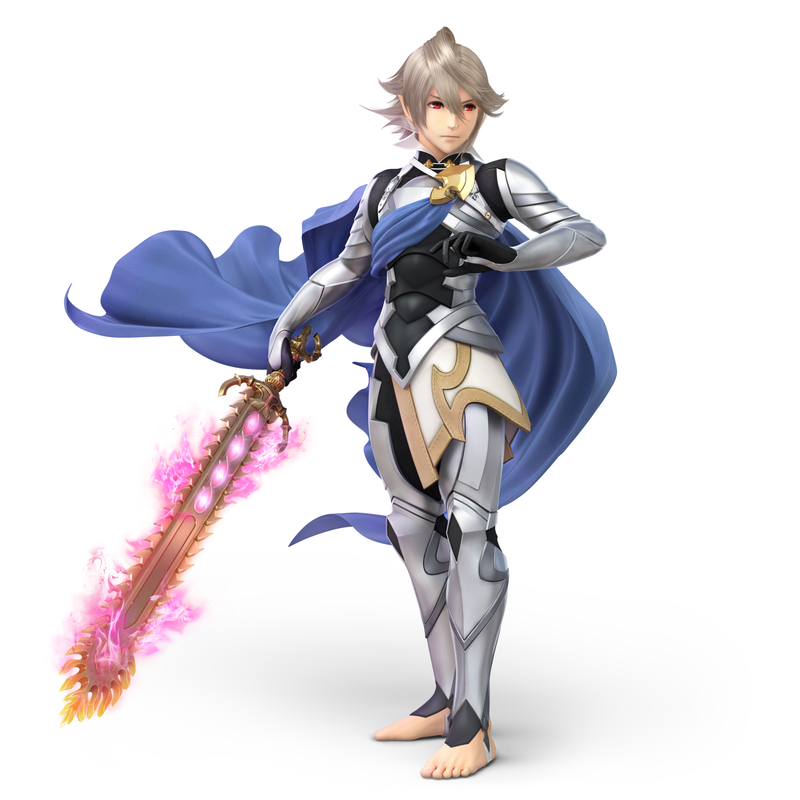 We’ll keep updating this page as more information surfaces on the other five DLC characters and stages. 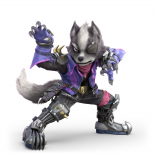 While Nintendo hasn’t gone to the lengths of producing a trailer to showcase all the returning stages in Super Smash Bros Ultimate in one go, lots of stages have appeared on the very stacked Smash Bros website and in a number of trailers. 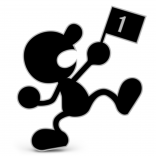 It’s looking an awful lot like it’ll be almost every stage from the history of the series, just as with the characters. Nintendo has confirmed there’ll be 103 stages total, and we’re going to tick them off on this list as they’re announced and confirmed! 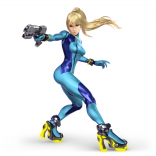 In perhaps the ultimate fan service, Smash Bros on the Switch will also support the classic GameCube Controller. What’s more, a new Smash-branded Switch version of the controller will be available when the game launches. As for amiibo, all existing amiibo will be supported by Super Smash Bros Ultimate, including ones from different series. Meaning you’ll be able to use an amiibo from a different game with Ultimate, so long as it’s for a character included in the roster – ie. 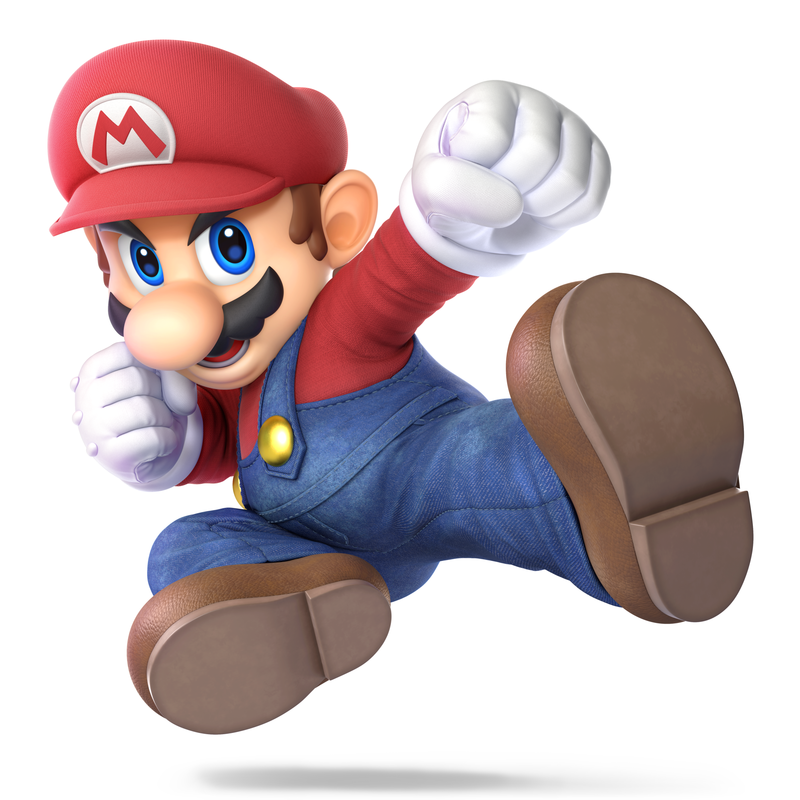 your resplendent Wedding Suit Mario from Super Mario Odyssey will interact with Mario in Smash.